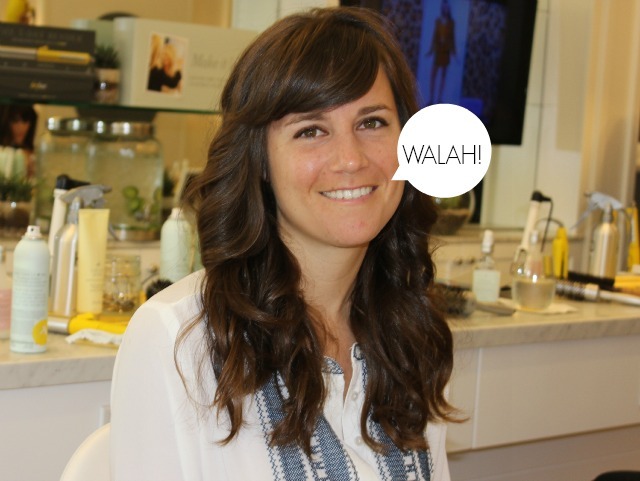 Greetings from Texas: HOUSTON, WE HAVE A DRYBAR! HOUSTON, WE HAVE A DRYBAR! 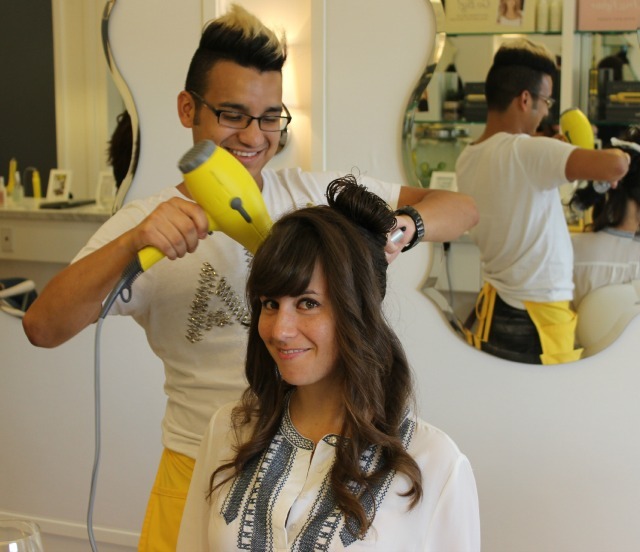 Lucky me had the pleasure of checking out Drybar Houston that opened this weekend in Uptown Park. Here is my "before" shot in which I look like Olive Oil from Popeye. 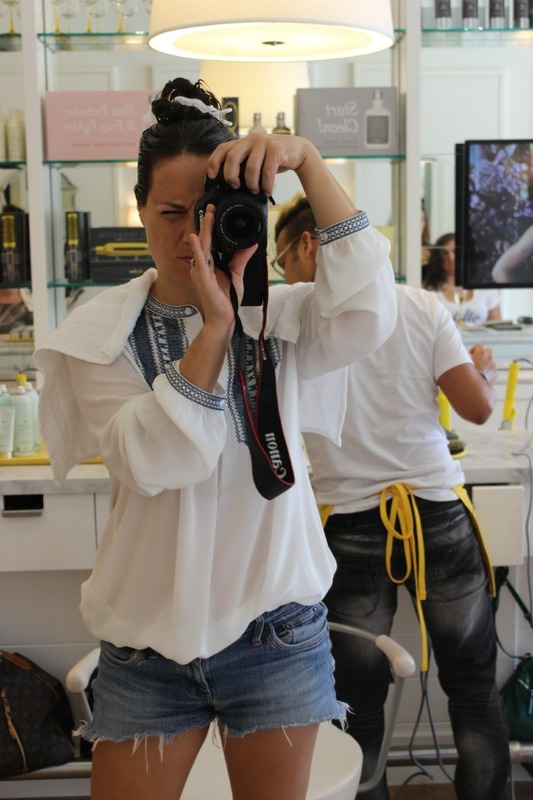 The experience was just as amazing as I remember it to be from when I went to a Drybar in New York a while back. The salon is adorable with pops of yellow and gray, Bride Wars was playing on the televisions (they have 5 or 6 girly movies that play on repeat! ), and the friendly staff kept offering me alcoholic beverages which I unfortunately had to decline due to my unfortunate consumption of alcoholic beverages the night prior. You ready for the "after" shot??? JK!!!!!!!!!!!!!! Speaking of Miley, check this out. Here it is for real. Houstonians - You must flee to Drybar immediately. And Chicago friends and family? You'll have an opportunity to do so soon as well. Drybar owner, Ali Webb, who I had the pleasure of meeting said that Chicago is the next city to be graced with their presence. And now I'm going to pick the winner of my Drybar giveaway using my Kitchen Aid. Congrats to Darby! And thanks Alli and Drybar for having me! 6 -8pm at Langford Market, Rice Village location. Come say hiiiiiii!!!!!! i LOVE drybar! i live in NYC but i'm from dallas originally and trust me, even though i miss texas at times, having a drybar makes up for it! your hair looks great!! They have one in Dallas now! I've been and its fantastic! This makes me SO happy!!! I have wanted to go to a drybar SO BAD!!!! BLOGGER TRIP TO DRY BAR!!!!! Also I am SO GLAD DARBY WON!!! She so deserves it!!! ahhhhhhhhhhhhhhhhh I won something?!?!? !..........something this awesome!!!! wow I feel like a million bucks. Maybe once my hair gets did I will feel like a billion bucks?! Awwww congrats Darby! Your hair looks amazing. I need to get down there pronto!